For a long time I avoided oil based products like the plague because I believed that oils would make my skin look greasy and clog pores. Adding oil to already oily skin seems counterproductive and sounds logical to stick with water based products right? Like many people that misunderstand skin care oils, I was so very wrong. It's not oil based ingredients that cause acne...it's clogged pores. Ingredients like jojoba oil, sunflower seed oil, and grapeseed oil actually score very well on the comedogenic rating scale. In fact, sunflower oil is one oil that is LEAST likely to cause clogged pores. Jojoba oil, actually an ester, helps to draw out sebum. 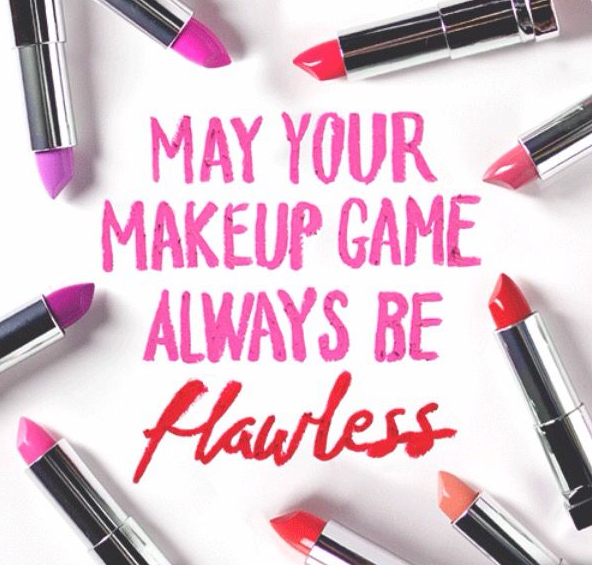 There are certain ingredients, though, that can easily clog pores and cause breakouts. In most cases, the oils get blamed when they had nothing to do with it. Lanolin, soybean oil, Isopropyl Myristate and Sodium Laureth Sulfate are among the ingredients most likely to clog your pores. Illuminating eye concentrate- This eye serum comes in a convenient vial with metal roller ball tip that cool to the touch. It's so soothing on my tired eyes and refreshing on hot days! I love that I don't need to use my fingers because I feel like so much product is saved when you don't have to touch it. This eye serum is 100% plant based and promises to soothe, brighten and moisturize. Since fresh and pure ingredients are used, this serum has a sweet but mild aroma. I've been using this eye concentrate for a while now and I can attest to the potency of it. It's the perfect quick fix for puffy eyes! Illuminating face wash- This face wash is pH balanced for all skin types. I did notice a slight tingle when I use it, but it's gentle enough yet perfect for removing all traces of makeup. This is a gel formula that didn't make much foam as you cleanse your face, but still does a fantastic job of getting a deep clean. My skin responded well to this cleanser and I did like the clean and fresh feeling :) The illuminating face wash is formulated without artificial ingredients, toxins, parabens, fillers, GMOs, or gluten. Purified Water, Sodium Olivate (Sourced from Olive), Glycerin, Rosa Rubiginosa (Rose Hip) Seed, Eriobotrya Japonica Extract (Japanese Loquat) and Chondrus Crispus (Seaweed) Extract. 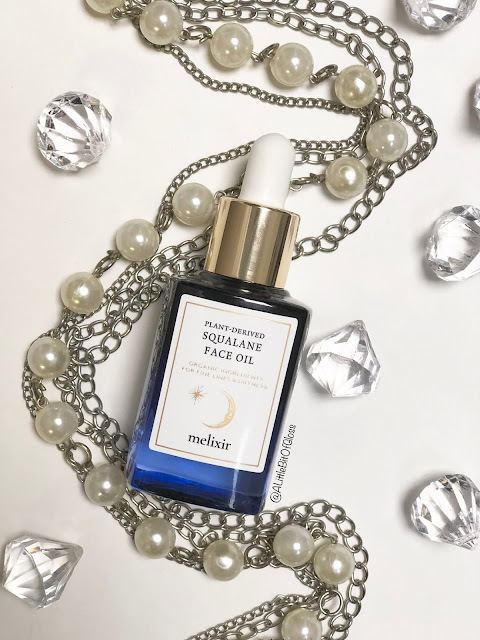 Illuminating face serum- This multitasking serum promises to correct, hydrate, and firm the skin. Like the other Orenda products, the serum is formulated without nasties like parabens and is vegan friendly. I like using this serum before bed and wake up to glowing skin. Its a very light and delicately scented formula that works wonderfully to repair my dry skin overnight. Oil based products do not need preservatives like water based products do so you'll find that oil based products are almost always developed without nasty preservatives or parabens. 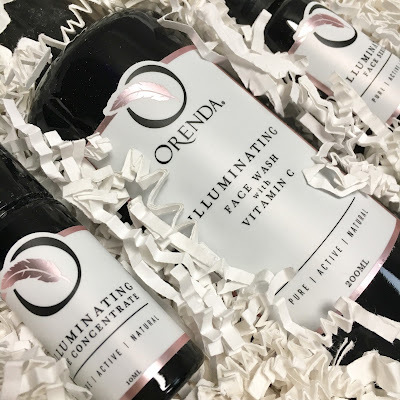 Orenda is an all natural skin care line formulated with high performing antioxidants and naturally occurring vitamins. I felt good knowing that I was using products that were good for my skin and good for the environment. What I love most about the Orenda line is that these products work well together, but work even better if you layer them with other products that you love. I got the chance to speak with Jane, the co-founder of Orenda and I was very impressed with her passion for fresh ingredients. She said that choosing each ingredient for the Orenda range is similar to choosing the best ingredients for the food you would buy for your family. Only the best will do!